Wm Morrison Supermarkets plc – better known as Morrisons – is the fourth largest supermarket chain in the UK . The company currently holds an 11.5% share of the grocery sector and serves around 10 million shoppers a week from its 382 superstores. In contrast to the other major UK supermarket groups, its strategy is predominately based on selling groceries at lower prices, and doing so only from large stores, rather than expanding into the convenience store market. In addition, Morrisons is also the only one of the big four supermarket groups which does not offer its customers an online shopping service and is yet to venture into the financial services market. 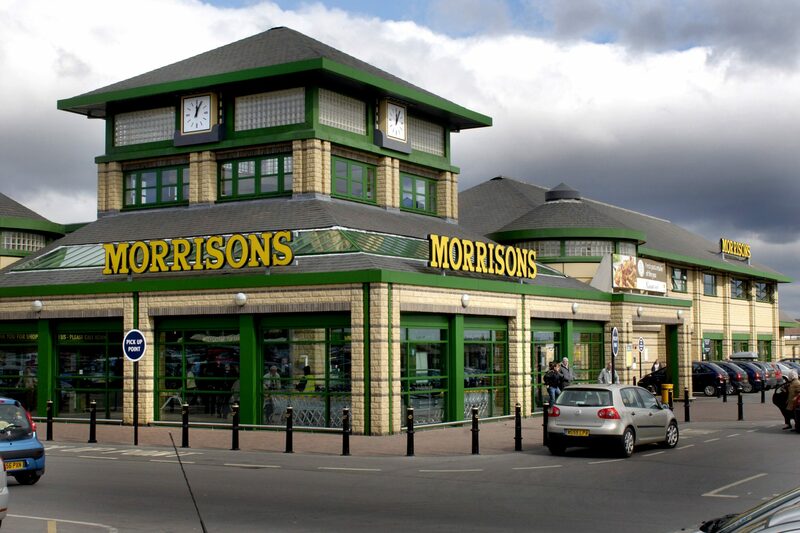 Morrisons was founded in 1899 by William Morrison in Bradford, Yorkshire . His son and successor, Ken Morrison opened the first Morrisons shop in the city centre in 1958, followed by the first Morrisons supermarket in 1961. Six years later it became a public limited company listed on the London Stock Exchange. By the end of the 1980s, Morrisons operated 46 stores across England , most of which were located in the north of England near the company’s Yorkshire base. However, the takeover of the Safeway chain in 2004 allowed the company to expand its store portfolio southwards. All 479 Safeway stores across the UK were re-branded under the Morrisons in a move which finally gave the retailer a nationwide presence. The Safeway to Morrisons store conversions process was the largest of its kind in British retail history. In March 2008, Sir Ken Morrison announced his retirement from the business after more than half a century at the helm of the Bradford-based grocer. His 55-year career saw him transform his father’s small market stall into a £13 billion nationwide supermarket chain. Morrison signed off by reporting a 66% rise in full-year pre-tax profits to a record £612 million on the back of a 6% rise in total sales to £13 billion. Morrisons has built its reputation around a no-frills store format called Market Street . The overall theme of its supermarkets is based on an early 20th century street setting in the north of England positioned around the edge of a store, with more conventional aisles in the centre. All stores feature a butcher’s counter, bakery, a pie shop, deli and fish counters, a Fresh to Go counter (for salads, sandwiches, pizzas and pasta), a cake shop and a cafeteria. Petrol stations are also a common feature of most stores. HSBC Bank outlets can also be found in a number of stores, which offer a range of financial services, including an exclusive credit card and savings account. Food ranges include the basic Morrisons Value range, Morrisons Organic, Kids Smart, Food Fusions, Eat Smart, Free From (foods for wheat, gluten or dairy-free diets), and its premium food range branded The Best. Non-food products consist of some essential clothing (underwear, socks, etc) and a wide range of DVDS, CDs and console games. Morrisons are open 7 days a week. However, unlike the other top 3 supermarkets, Morrisons doesn’t offer a 24 hour a day supermarket. Wm Morrison Supermarkets Plc offer many career opportunities ranging from graduate training schemes to front line customer services operators. Being the 4th largest supermarket in the UK and with over 382 superstores, Morrisons is always keen to hear from talented individuals who can add value to their fast paced and dynamic organisation through skill and commitment. Morrisons main Head Office is based in Bradford. It offers employment opportunities in Marketing, IT, Finance, Merchandising, Personnel & Training, Property & Development, Security, Retail Operations, Supply Chain and Trading. Up to date vacancies are published on the Morrisons website daily. As a leading retailer who prepares more fresh produce than any other supermarket, Morrisons wants to attract individuals who have, customer facing skills, commitment to quality and a can-do approach. Till Operators to name but a few. Morrisons offer an outstanding Graduate Program designed to ensure high quality training and development, taking into account individuals career aspirations and future goals of the business. The Graduate Program is available across many areas of the business including Manufacturing, Finance and Management. To find out more about Morrisons jobs and to see latest vacancies visit Morrisons Careers.